RIVERSIDE, Calif. — Researchers at the University of California, Riverside have discovered a method to dramatically improve the way pollutants are removed from wastewater using Advanced Oxidation Processes (AOPs). AOP technologies are an appealing way to recycle contaminated wastewater, since the end products of hydrogen peroxide decomposition are water and oxygen. In reality, though, the reaction is slow, inefficient and requires large quantities of both hydrogen peroxide and ferrous (Fe2+, a divalent iron ion) salt–which serves as a catalyst. As a catalyst, the ferrous iron should remain chemically unchanged at the end of the oxidation reaction. However, that is not the case, causing the formation of an iron-containing sludge that then must be treated as a secondary pollutant. Now, Yadong Yin, a professor of chemistry in UCR's College of Natural and Agricultural Sciences, and colleagues have shown that adding into the mix another compound–called a co-catalyst–can dramatically improve the speed and efficiency of the reaction. 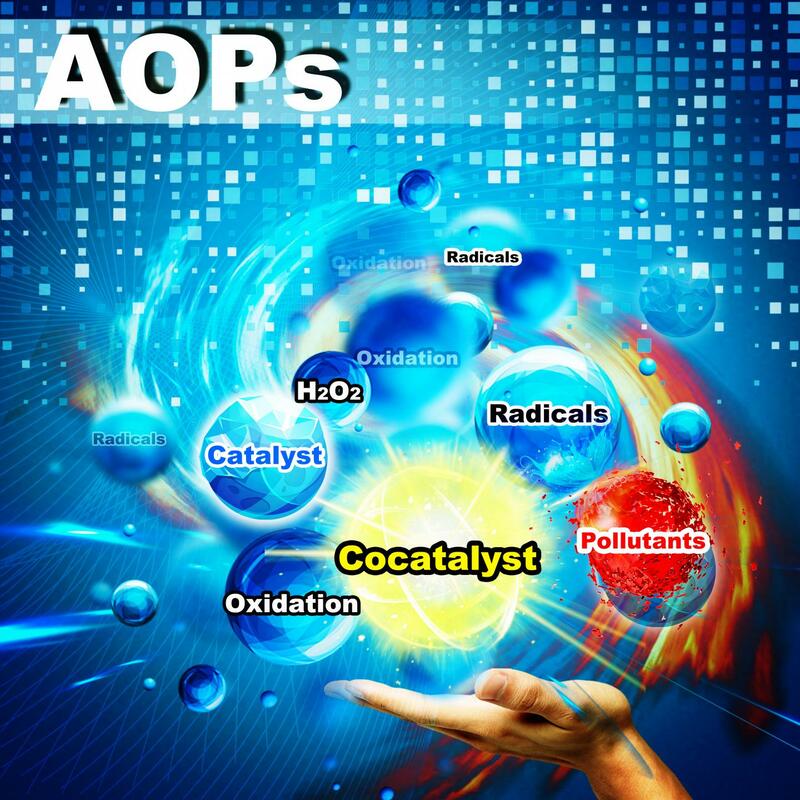 The action of the co-catalyst reduces the amount of hydrogen peroxide and ferrous catalyst needed and helps prevent the formation of the sludge. The results are published today in the journal Chem. Yin, an expert on creating nanomaterials, is now working to create smaller metal sulfide particles with more surface area to further increase co-catalyst performance. "As the global demand for clean water continues to grow, it is critical that we develop cost-effective technologies to decontaminate polluted water," Yin said. "This discovery provides the perfect catalytic system to improve an already promising process with applications in industry and municipal wastewater treatment." The title of the paper is "Metal Sulfides as Excellent Co-catalysts for H2O2 Decomposition in Advanced Oxidation Processes." The joint lead authors are Mingyang Xing, a visiting scholar in Yin's lab, Wenjing Xu, a graduate student in Yin's lab, and Chencheng Dong, a graduate student in Xing's lab. Other contributors are Yaocai Bai and Jingbin Zeng from UCR, and Yi Zhou and Jinlong Zhang from the East China University of Science and Technology in Shanghai.